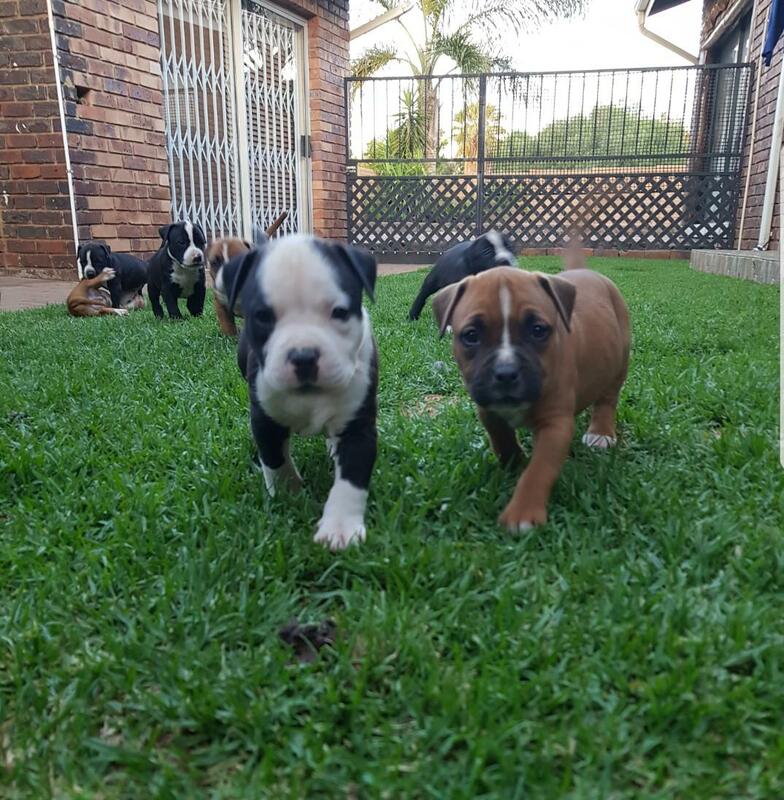 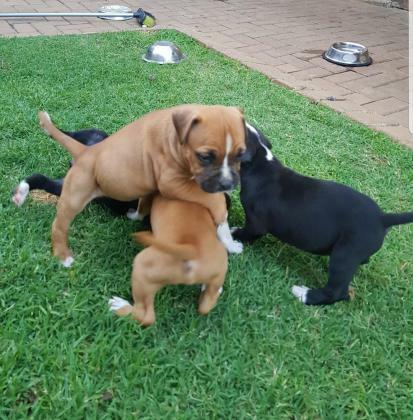 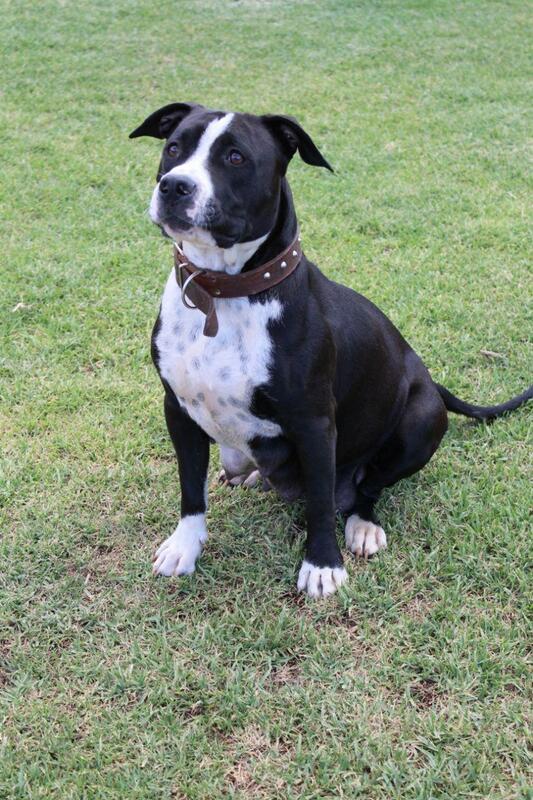 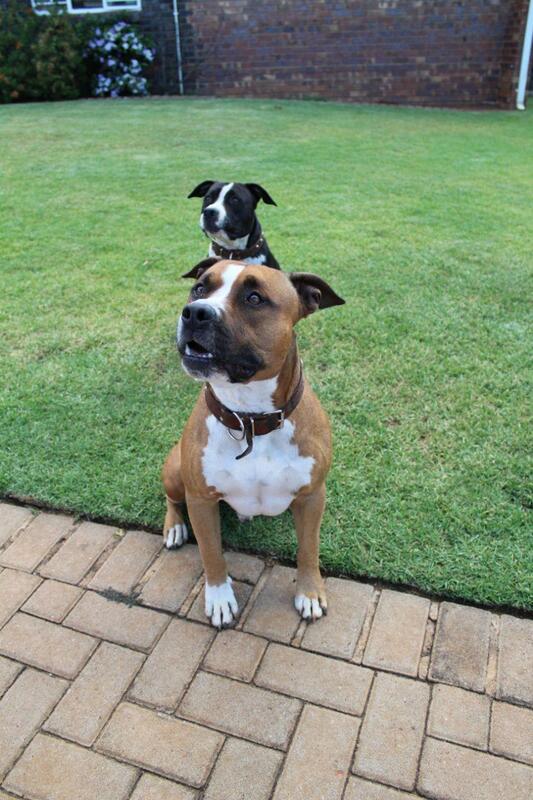 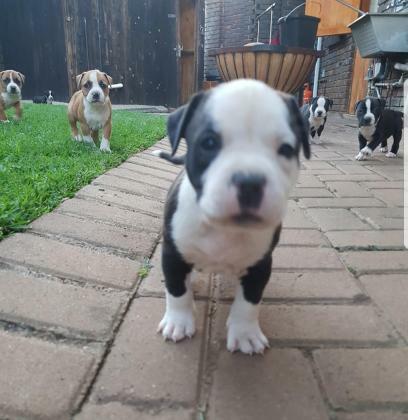 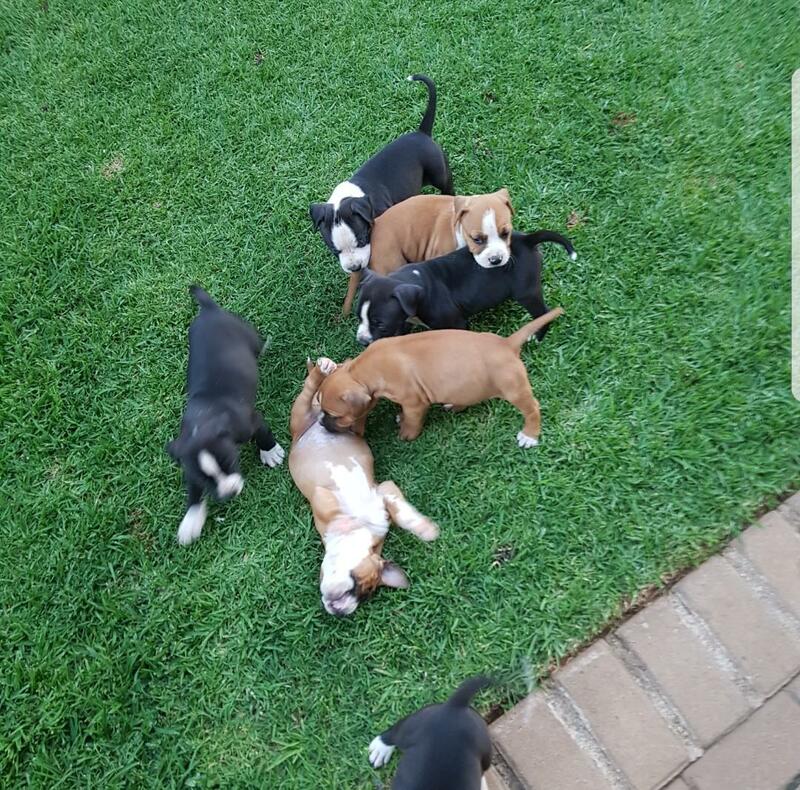 8 Amstaff Puppies, 1 female, 7 males. 5 weeks old (born 28 October) will be available from 16/12/2017. 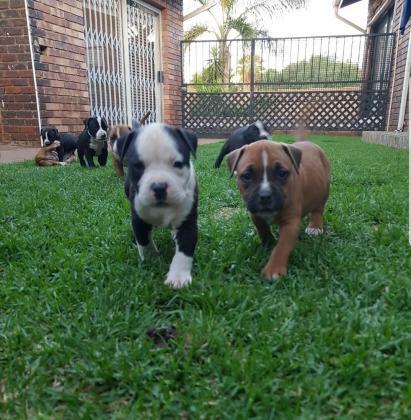 All pups will be chipped, dewormed and KUSA registered. 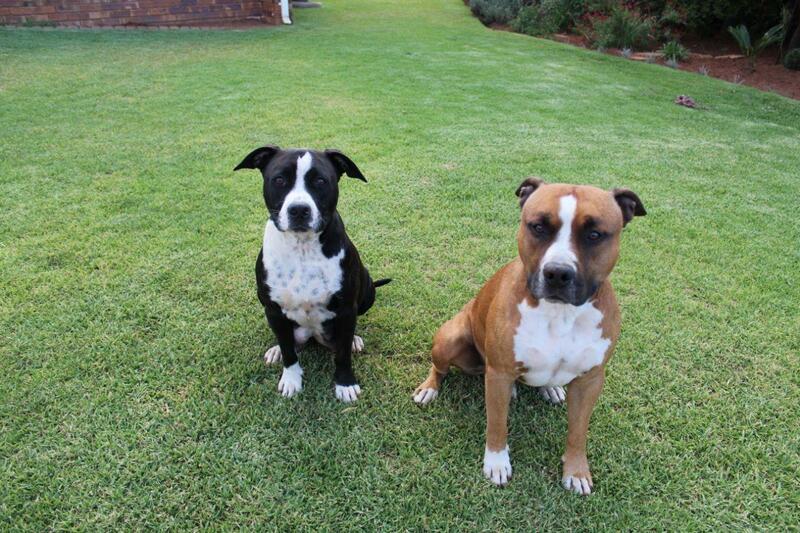 Mom & Dad are both KUSA registered.